Food Stories – We are – Roots on the Roof! “Food has the ability to bring people of different generations, cultures, disciplines, and ways of seeing the world, together to share in conversation. It has this magical way of bringing out stories of connecting, of belonging, of creativity, and of community. A qualm we have with certain “local”, “sustainable”, and “organic” food movements is that it often caters to certain types of communities, and those who cannot participate in these food movements due to income or systemic barriers are not acknowledged as having valued experiences/knowledge for how they view their own food system. 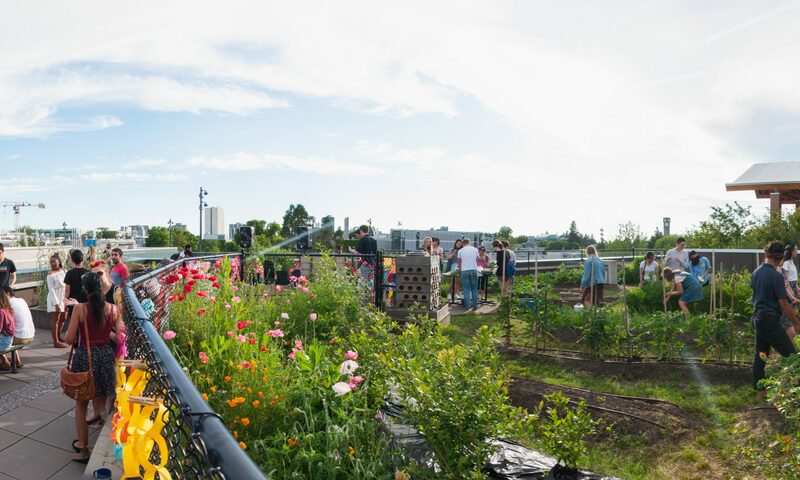 The inspiration behind Rooftime Stories is to share how different people with different identities connect with/through food and that there is a very deep human dimension to our food system that is often overlooked. In 2015, we launched a food storytelling project that set out to explore, showcase, and celebrate how food plays a meaningful part in all of our lives. 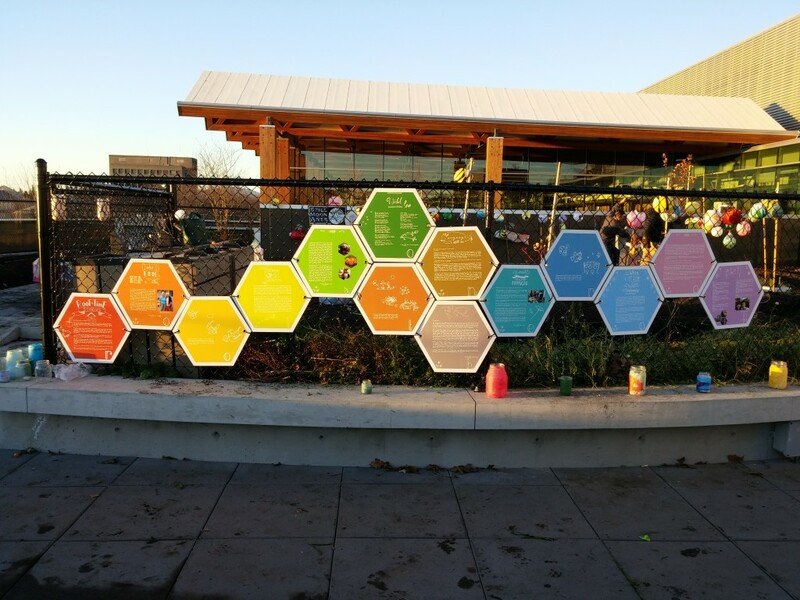 After a few workshops, writing sessions, and lots of discussion and planning, the final result was a beautiful public art piece of storyboards, featuring the food stories of several community members, that were put up as a permanent installation at the Rooftop Garden. 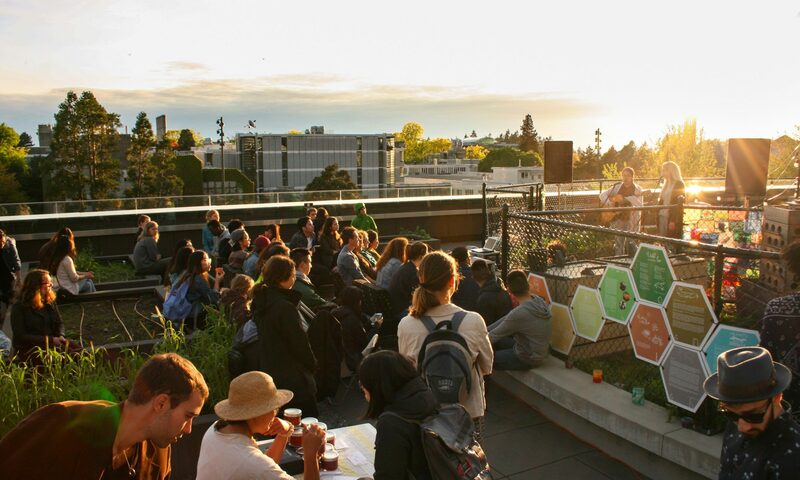 Roof-Time Stories, community art installation. Because we can appreciate food not just for its taste but for also for the different ways in which we all interact with and are impacted by it, we believe that it is important to acknowledge and listen to the lived experiences that people have with food, especially when presented with the perspectives of those whose voices still need to be heard. This is why we will be continuing to showcase food stories and their significance. Stay tuned for more!